Preventative care is the key to maintaining a beautiful smile through every life stage. Regular teeth cleanings and exams at your dental clinic are an important component of this regimen, preventing costly procedures like root canals and tooth extractions. This comprehensive guide outlines the importance of cleanings and the best practices dentists recommend patients follow. How Often Should You Visit Your Dentist for Cleanings? Dentists and dental hygienists recommend scheduling cleanings twice a year. During these procedures, they will first evaluate the condition of your teeth, gums, and mouth. 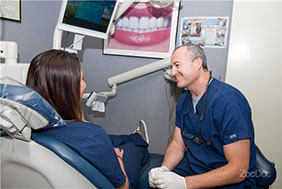 During the appointment, they will remove plaque, irrigate the gums, and clean your teeth using professional equipment. If they notice signs of decay or infection, they may recommend a root canal or additional procedures to restore oral health. Twice-annual cleanings reduce the risk of plaque buildup, especially if you continue to embrace a healthy at-home routine of flossing daily and brushing twice a day. Regularly keeping these appointments will also reduce the likelihood of requiring root canals, tooth extractions, and fillings in the future. These visits also provide the opportunity to ask your dentist about cosmetic options to make your smile even more beautiful, such as teeth whitening or teeth aligners. Edward Shluper DDS has a reputation throughout Mountain Lakes, NJ, for providing exemplary dental care. If you’re looking for professional teeth cleaning or an emergency dentist with the experience and resources to handle urgent issues, call the office today at (973) 250-4444 to schedule an appointment. Dr. Shluper is currently accepting new patients. Call today to schedule an appointment! For additional information on the procedures this trusted clinic offers, from tooth extractions and root canals to whitening, visit this practice online.